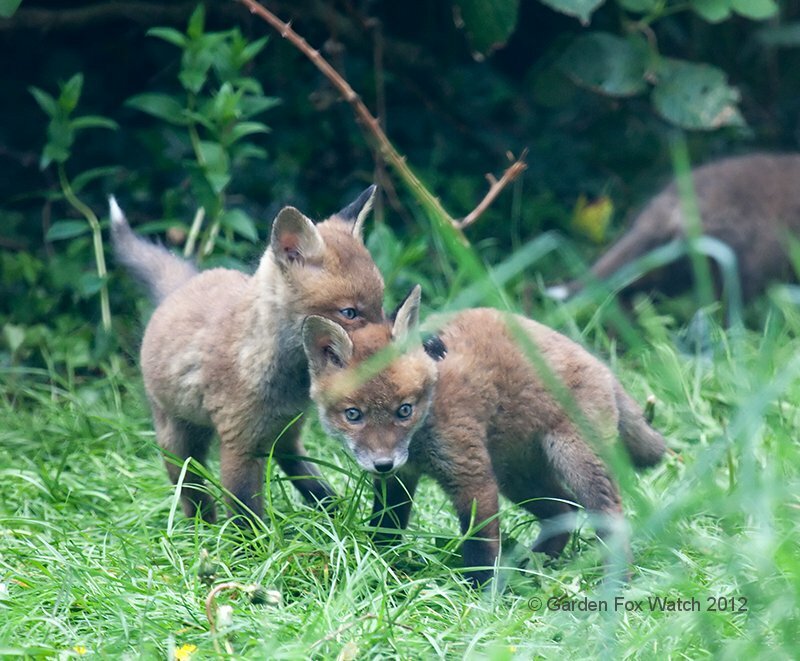 Fox cubs generally start out black or very dark grey — although in my experience of watching them so far, it’s very unusual to see them out in the open when they’re still properly black. 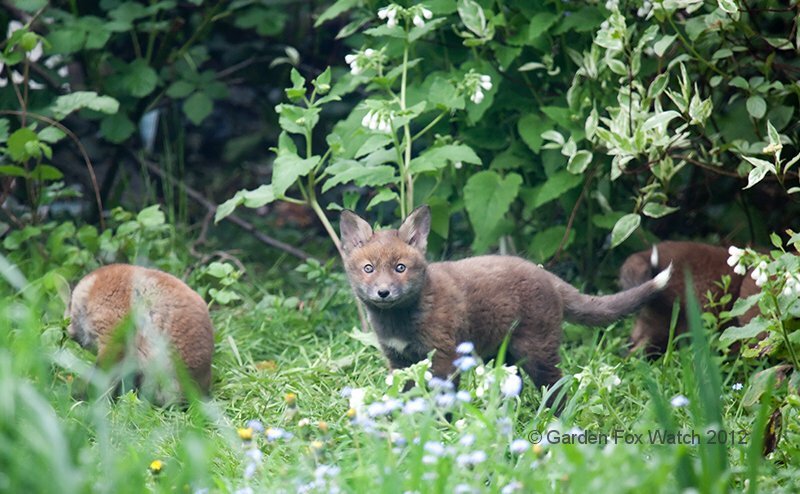 (The only time I’ve seen one still that colour was in 2010 where I disturbed one near its den, a couple of weeks before they came out into the main part of the garden.) 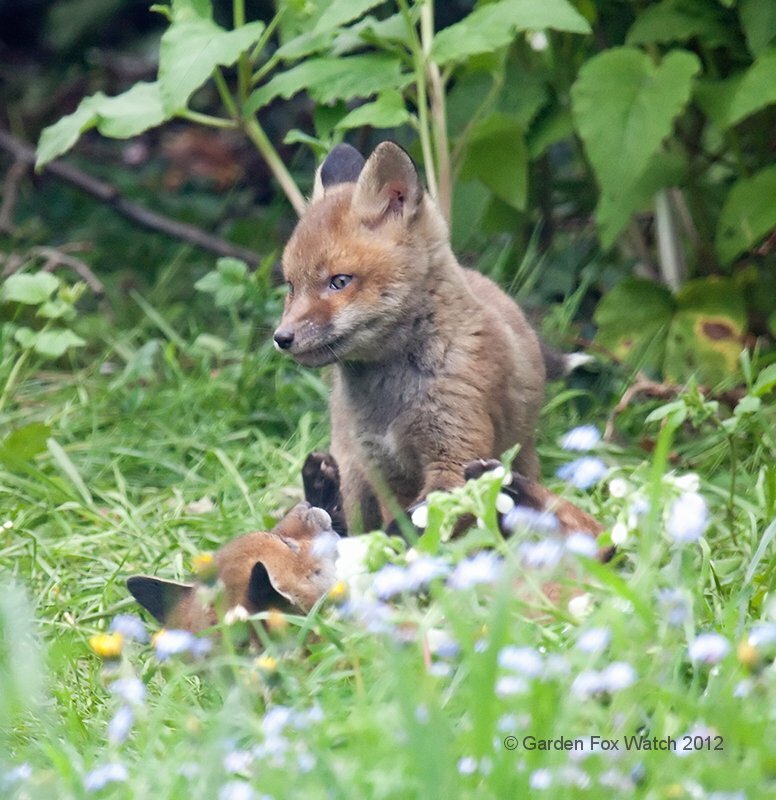 They mature through a darker brown and eventually to the paler brown/red that we more often associate with foxes. 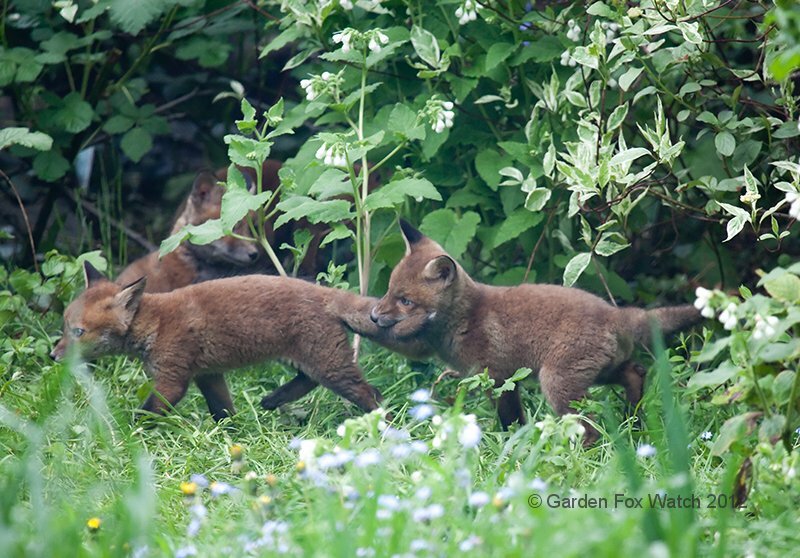 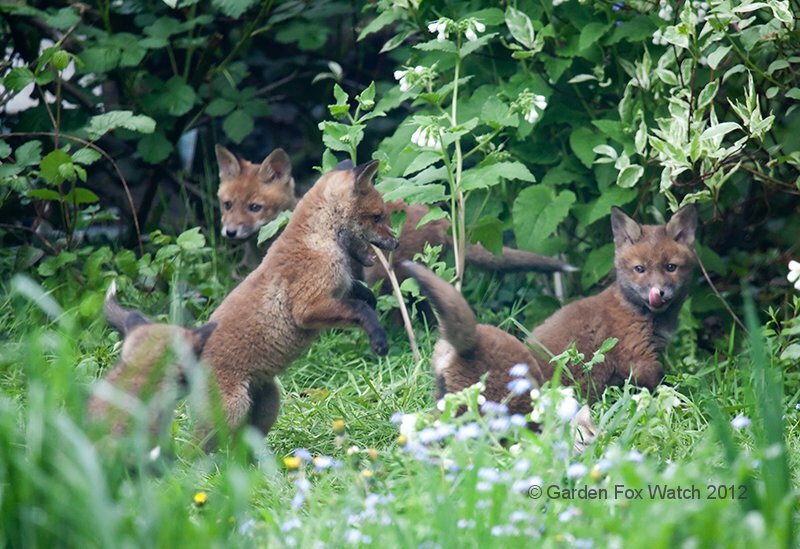 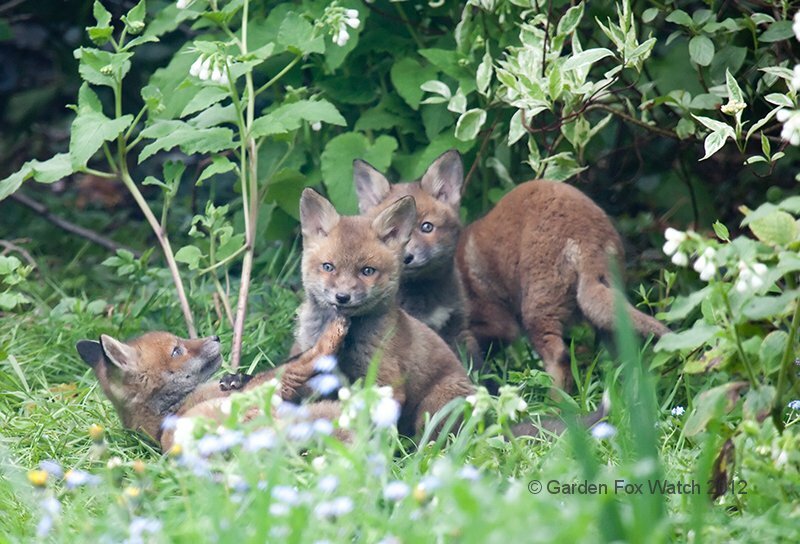 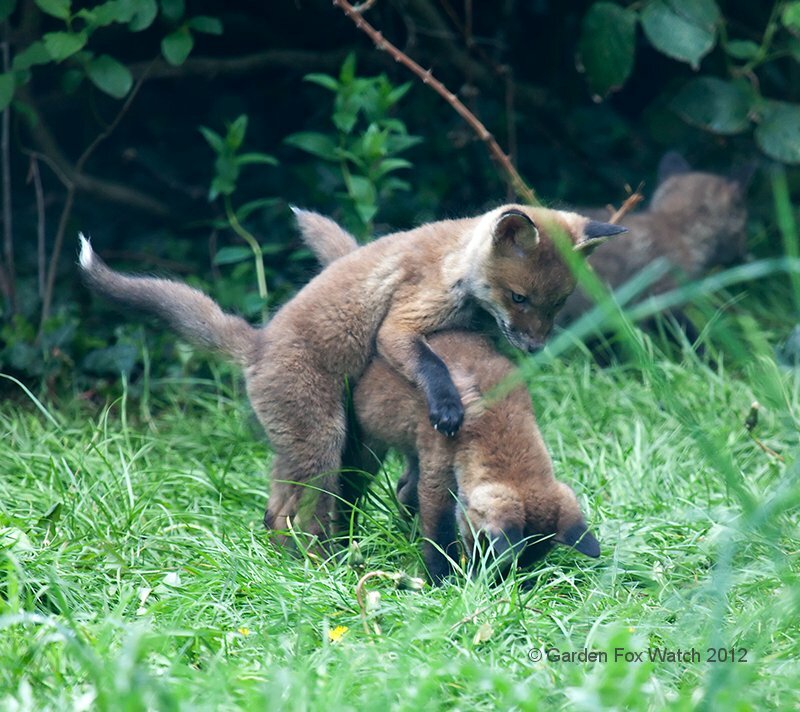 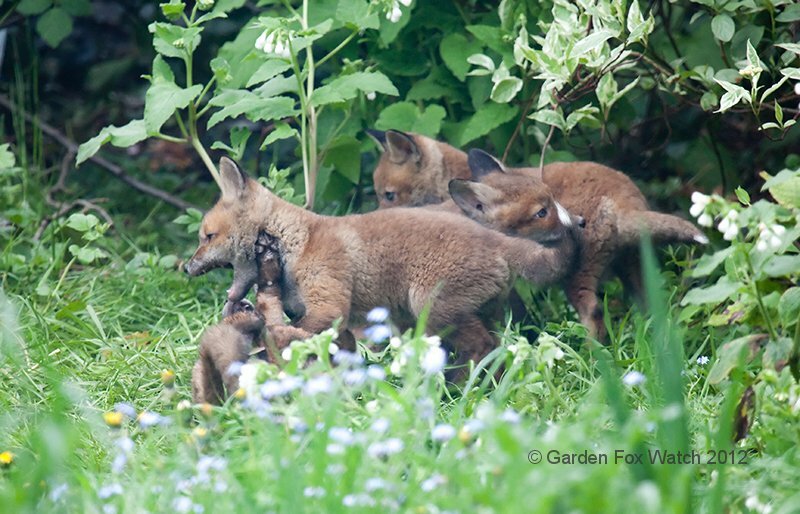 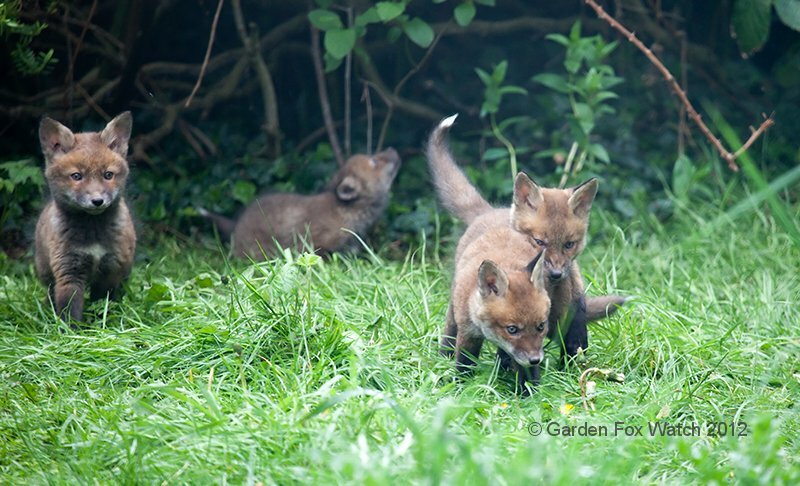 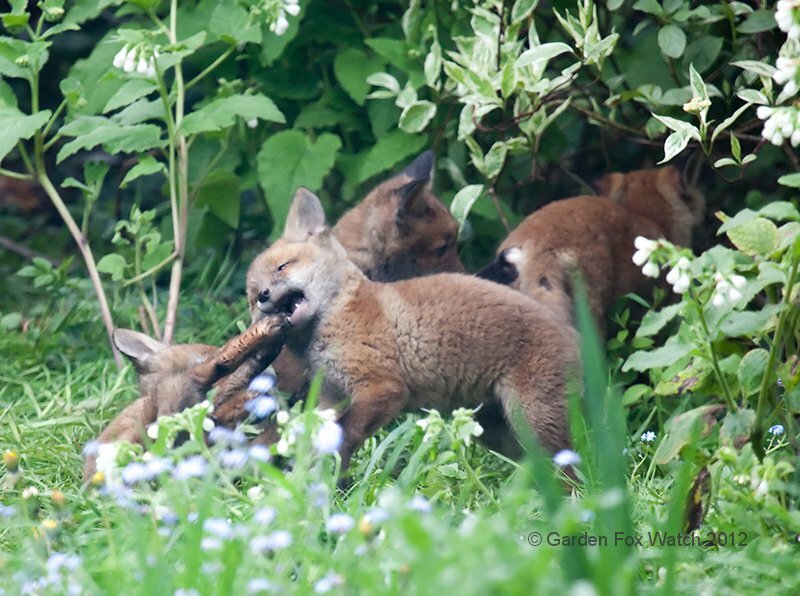 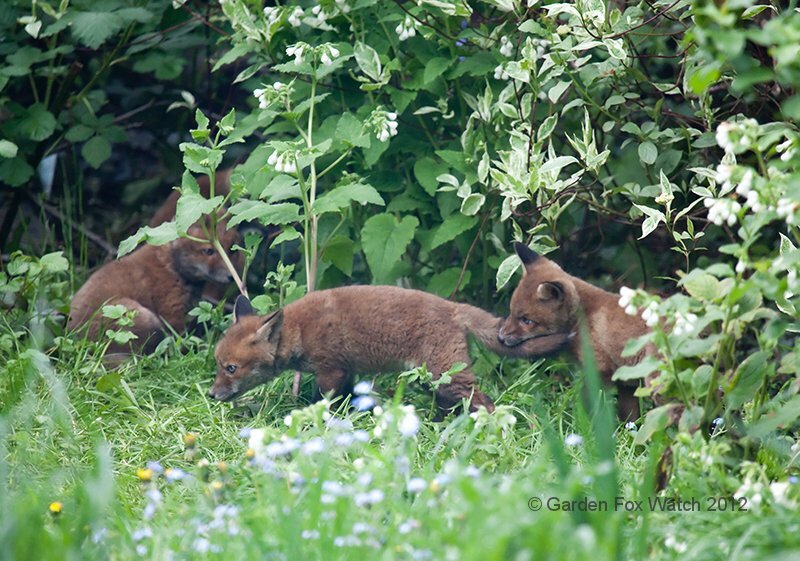 In these photos from 6th May (courtesy of Foxy Lady Jr again), you can see that some of the cubs are starting to change to their “adult” colour — and also that they are big fans of wrestling with one another!